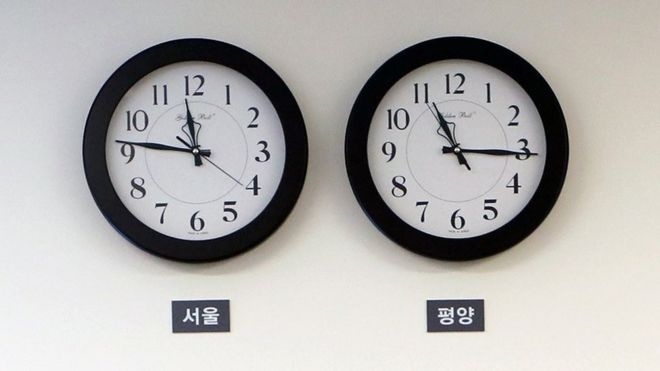 AKIPRESS.COM - North Korea has changed time zone to match the South after last week's inter-Korean summit, BBC reports. At 23:30 local time (15:00 GMT) on Friday the country's clocks moved forward 30 minutes to midnight. The reset is "the first practical step" to speed up Korean unification, the official KCNA news agency said. Meanwhile, US President Donald Trump says he has a date for his meeting with the North's leader, Kim Jong-Un. "We now have a date and we have a location, we'll be announcing it soon," Mr Trump told US journalists outside the White House on Friday, adding that he was expecting "very, very good things" to come out of it. Mr Trump will host South Korea's president Moon Jae-in at the White House on 22 May to discuss the upcoming meeting.